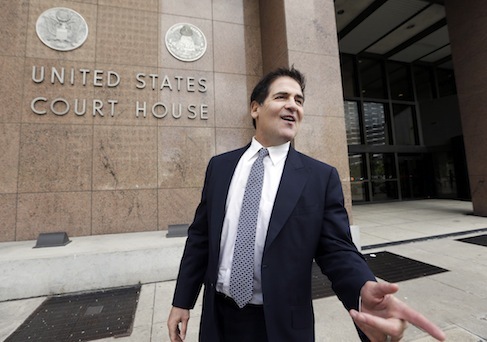 Billionaire businessman Mark Cuban, owner of the Dallas Mavericks, said in a Fox News interview that if he runs for president in 2020, it will "probably" be as a Republican. When asked in an interview with Harvey Levin on "Objectified" if he would run as a Democrat, Republican, or independent candidate, Cuban said, "probably Republican." He added that his family is split on whether he should run for president. "My kids love it, my wife hates it," Cuban said. "So that's an influencing factor. My family is everything to me." When Levin asked how likely he was to run on a one to 10 scale, the billionare investor said "it's a four." "If your wife says yes?" Levin asked. Cuban has talked previously about how he's considering a presidential run. The billionaire has said that for him to run, he would want to have solutions to offer voters—solutions on issues like tax reform that people could get behind. "If it comes down to, ‘Do I think I can win because I can convince more people to vote for me?' Then no, I won't run," he said. This entry was posted in Culture and tagged 2020 Election, Fox News, Mark Cuban. Bookmark the permalink.